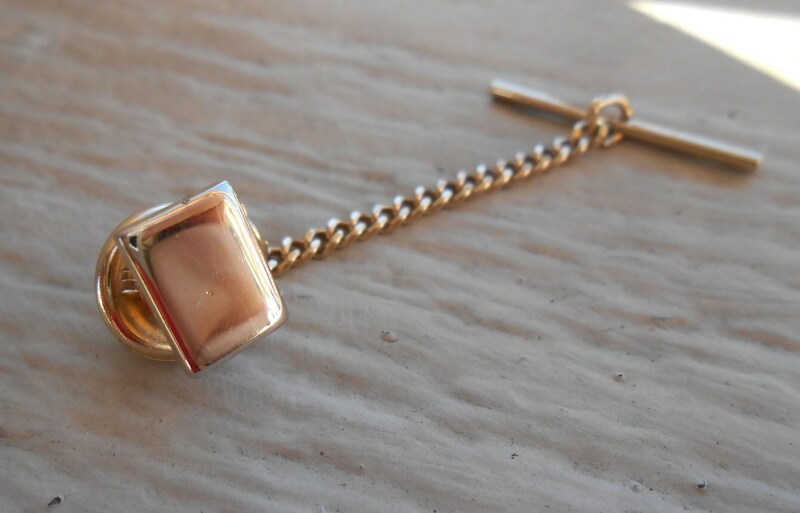 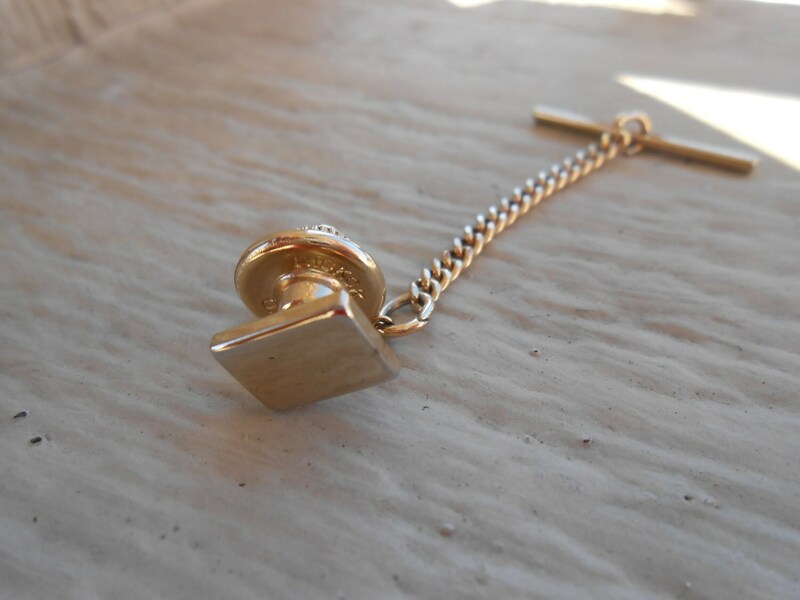 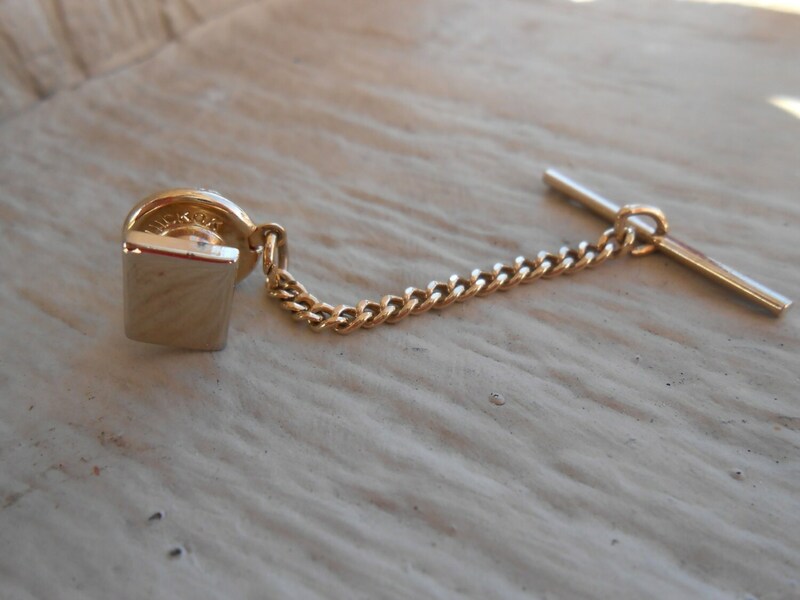 This vintage tie tack is very simple. 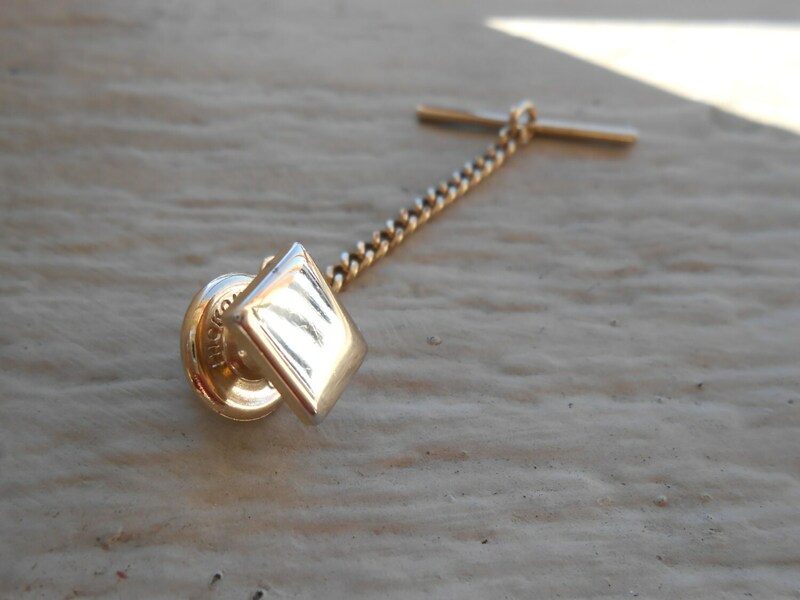 It is a gold color rectangle. 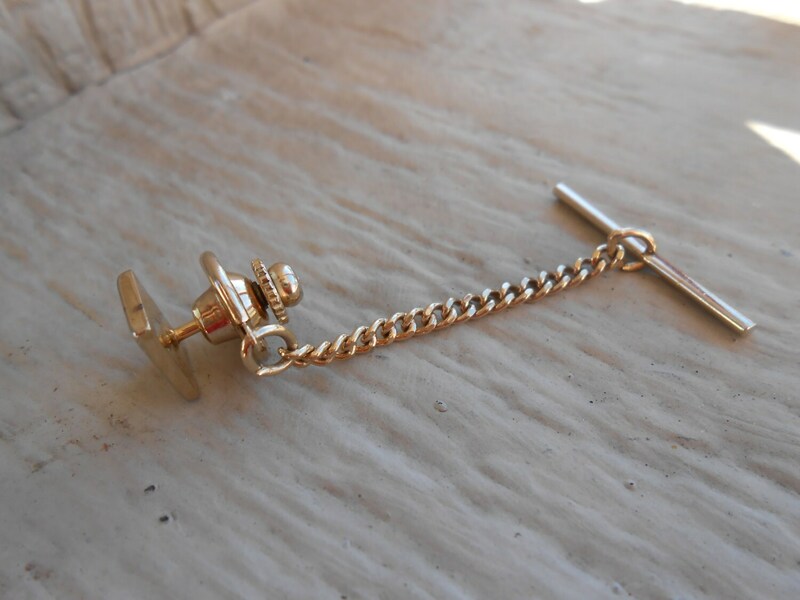 It measures 3/8" and is in good condition.